I'm taking a few moments to comment on a few things that I think need to be addressed. It's nothing big, but I thought I'd address them nonetheless. 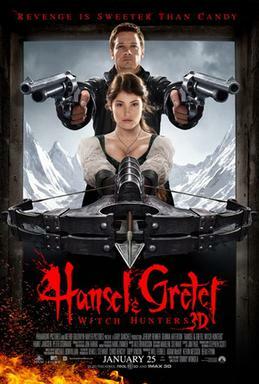 I've seen Hansel & Gretel: Witch Hunters on a few Worst of 2013 Lists. I, however, don't understand all the hate. Is it a great film? Dear me, no. Is it goofy fun? Well, not really. However, for what it was (mindless entertainment), Hansel & Gretel worked. I did think it might have been a bit too bloody for my tastes, but I enjoyed it and am looking forward to the sequel. I really don't understand the hatred Hansel & Gretel received by my fellow critics. Silly, goofy, but embracing its own oddball premise, Hansel & Gretel: Witch Hunters if anything showed that if Jeremy Renner wasn't strictly in on the joke, he at least could give this insane idea a sense of the serious. I did, contrary to popular opinion, thought highly of Star Trek Into Darkness. I thought highly of Into Darkness when it was called Star Trek II: The Wrath of Khan. Minus the lens flares (which I think are not that big a deal), my fellow critics appear to think J.J. Abrams is some sort of genius, but not having been impressed with either Lost or Super 8, I don't hold the view that Abrams is the new Spielberg. Anyway, wasn't M. Night Shyamalan suppose to be 'the new Spielberg'? I imagine that if anyone else had pulled Abrams' stunt of remaking Wrath of Khan and called it 'original', they would have been ridden out of town. However, because it was J.J. Abrams, he gets a pass for this mockery of Star Trek lore. For the life of me I cannot understand how Into Darkness is seen by my colleagues as this grand epic rather than the shameless rip-off it was. Trekkers at least had the decency to be outraged by this pillaging of the past to where they voted it the Worst Star Trek film of All Time. I am fully aware that in many ways, Into Darkness is not really the worst of the franchise (really, The Final Frontier is really, really bad). However, unlike most Whovians, who know little to nothing of Doctor Who pre-Rose but insist all the Eccleston/Tennant/Smith stories tie in seamlessly with what came from 1963-1989, Trekkers KNOW THEIR history and thus were not fooled by Into Darkness. They had the good sense to reject its faux origin and call it what it was: shameful and serving only those who think Chris Pine originated the role of Captain Kirk. Those who either are impressed with pretty colors and hot actors (Pine, Benedict Cumberbatch, or Zoe Saldana) or know there is something called Star Trek but which doesn't really involve anything pre-Star Trek 2009 think highly of Into Darkness. I'm no Trekker, but here I am the first to say they are smarter than their rivals the Whovians. I did not think I would like a romance between a human and a zombie. In fact, I thought the whole concept idiotic, even grotesque. 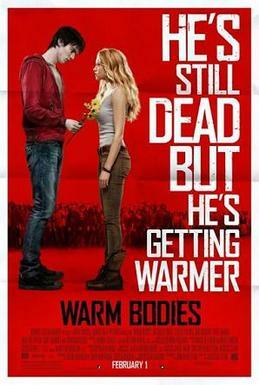 However, Warm Bodies was a bright film that embraced its bizarre premise and threw in something not often found in zombie movies: wit and heart. Nicholas Hoult had a mixed year: Warm Bodies was a hit while Jack the Giant Slayer bombed. The latter never knew what it was: a light take on the fairy tale, or a dark and gritty take. This schizophrenic nature doomed Jack the Giant Slayer to some Worst of 2013 lists, but Warm Bodies showed Hoult could carry off the idea that a zombie could find true love. Warm Bodies had wonderful moments of comedy (such as zombie R.'s hesitation to wear make-up...he was still a man, after all) and genuine romance. I was surprised at how much I enjoyed this somewhat supernatural version of Romeo & Juliet, and frankly, it was better than the actual Romeo & Juliet adaptation released the same year. Let's get some things clear. 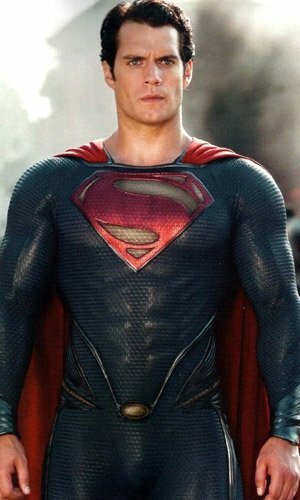 Henry Cavill is a breathtakingly beautiful man (and I come at this from a straight perspective). He also is stiff as a board (or in his case, bored) and has the emotional range of a toothpick. Man of Steel was a remarkably dry, dull affair, going overboard in the total lack of humor. It's another victim of the Christopher Nolanfication of comic book films where even Superman has to be morose, dour, depressed and doubtful. Let's go over some of the horrors in Man of Steel. The 'S' no longer stands for Superman. It stands for 'hope', Kal-El tells us. Lay on the heavy symbolism there, Zack Snyder. We spend what appears infinity on Krypton. General Zod (Michael Shannon) picks the most bizarre time for a coup. Krypton is about to go kablooey and he decides THIS is the perfect moment to seize power, when everything's going to blow up? Lois Lane (Amy Adams) KNOWS Clark Kent's secret identity! After being this Bruce Banner-type figure (all that was missing was 'the sad walking away music from The Incredible Hulk), Kent somehow gets hired sans degree to be a reporter on The Daily Planet? Superman KILLS (no General Zod for the sequel)! No Jimmy Olsen! And that's not even going into the mass destruction of Metropolis that must have killed thousands if not millions of people, or the particularly repulsive 9/11 echoes Man of Steel revels in. However, there is worse to come. The next Man of Steel movie, Superman Vs. Batman or something like that, will not only be the next Superman movie, but will also throw in Batman (Ben Affleck, and yes, I find it a dubious choice) AND Wonder Woman. How we'll get THREE superheroes into one film without making it a.) very long and b.) short-changing the characters remains to be seen. It's obvious DC wants to start a massive franchise to culminate in a Justice League movie. However, they apparently haven't learned important lessons from their rivals at Marvel. Before there was The Avengers, there were two Iron-Man movies, two Incredible Hulk films, one Thor and Captain America film, and the characters of Black Widow, Hawkeye, Agent Coulson and Nick Fury all making some form of appearance(s) in some or all of these films. They also tie the various stories in some way or other. Unlike what DC appears to be planning, they weren't just thrown in together with the hope (or the 'S') that it would all work perfectly. I can't say that Batman Vs. Superman will be a disaster, but somehow I don't fancy its chances. Besides that, I still think Superman: The Movie will be the ones people will watch in the future, not Man of Steel, which disappointment me tremendously.